During this time of the year, prospective clients always ask us if they should wait to make a move until the spring market. This is a very common thought and we will explain why waiting may not be the best move. There are very good reasons why delaying a move may not be in your best financial interests. Here are some things for you to think about, whether you are a buyer or seller. 1. Rates Are Historically Low - Waiting until next year may cost you up to 1% in rate. While no one knows what will happen, rates can't stay this low forever. 2. Sellers Want To Sell Before Winter - There is an inventory of homes that didn't sell during the hot spring/summer market. These are perfectly nice homes that were simply overpriced. 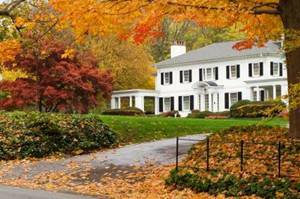 Now is the time to buy them as many sellers are now much more motivated, cringing at the thought of keeping their home through another brutal Cleveland winter. 3. Home Values Are Rising - Recent market statistics show home values in many Cleveland area suburbs beginning to go up. Buying when values are lower certainly makes sense. 1. Inventories Are Low - The number of homes for sale throughout the area is ridiculously low. As a result, we have seen a ton of multiple offer situations, where buyers are fighting over the same home. Nice homes priced fairly are getting snatched up rather quickly. 2. Rates Are Historically Low - Ok, we already said this for buyers, but the same can be said for home sellers as well. The lower the rates, the higher the number of buyers that qualify to buy your home. Why risk a rate increase and lower buyer pool? 3. Uncertainly - We do know that low rates, a slowly improving economy, and low inventories exist today. What we don't know is what things will look like 3,6, or 12 months from now. Will the election cause changes? Will the stock market continue to make buyers feel confident to spend? Will unrest in Europe cause us to go back into recession? The unknown brings about an added risk to the selling process. Personally, I am conservative and like to know what I'm getting into. Today's market is a known factor, an ideal environment for both buyers and sellers. No one knows what things will look like next year. Waiting may simply be a risk that you just don't need to take, and may end up costing you money in the end.